Two odder TV bedfellows you could not imagine right? Which is course precisely the point for the inspired YouTube user SnowBalls3, who put together images from BBC America’s dark conspiracy-rich sci-fi drama Orphan Black, starring the multi-talented Tatiana Maslany, and Friends, one of the most successful sitcoms in TV history which ran from 1994 to 2004. “The extremely talented Tatiana Maslany plays about a half dozen characters on the breakout BBC America sci-fi series, which makes for a pretty insane sitcom intro once you realize its the same actress over and over again. 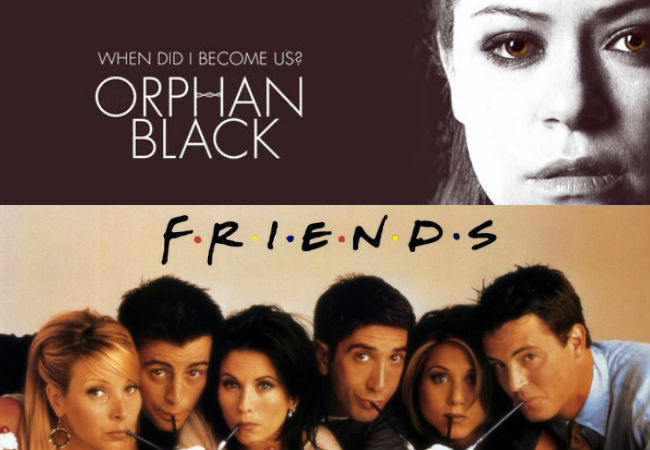 Orphan Black: The Sitcom – I like the idea! Until that materialises, sit back, enjoy and marvel at a visual fusing of two shows that otherwise might never have crossed paths.